When dancing ballet, what makes a star is your presence, personality and performance. You might be pleased to know your technique is not EVERYTHING you need to succeed as a dancer. How can you get that the 'wow' factor? You can achieve this star quality. It is what makes people not able to take their eyes off you as a dancer. If you have the right knowledge and focus, I can help you reach star success. The performing skills are how you capture the eyes of the audience. 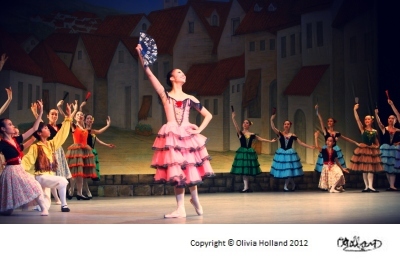 Most dancers have the ability to perform, but not every dancer can take the breath away of the whole audience. Listen carefully to the interpretive skills that you can achieve mentally when dancing ballet. Style can be your own personal interpretation. As well as having a unique style with a sense of individuality, it is important to be able to interpret different styles and to be versatile. Style is what makes a dancer so intriguing to watch. Whether the dance is fast and energetic with a quirky style, or controlled and lyrical with a graceful style. You can interpret your own style and have fun when you dance. Your focus makes such a dramatic difference when your dancing. Wherever your focus is, you must have confidence and energy. There are lots of dancers who practice the steps with their eyes looking down or towards the floor, which completely draws people's eyes away from you not towards you. 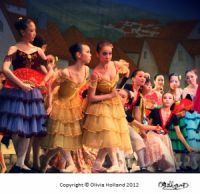 When you are on stage your focus can be between the dancers or into the stage space, and of course towards the audience. It helps the audience interpret the qualities the choreographer wants from the dance. Projection: The energy you give from your body. Projection is KEY to creating an unforgettable performance. 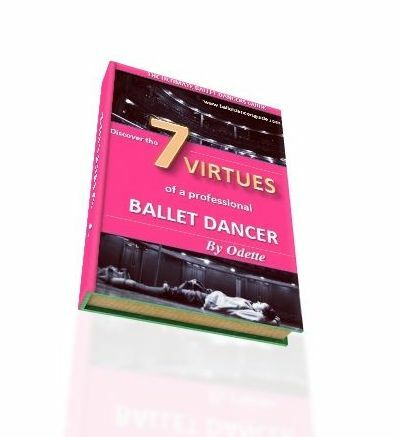 It makes your dancing become alive and is definitely something a choreographer or teacher will want in a performance. It allows your movements to reach beyond your own body and draws the audience directly to you. Musicality is absolutely fundamental to every single successful dancer. Music and dance go hand in hand, so without one or the other it just does not bring that 'wow' factor when dancing ballet. Musicality is how the you complement and follow the qualities and sounds in the music. It’s vital to have musicality when in a ballet company, because it is a huge aspect that helps all the corps de ballet dancers be in time with each other. Concentration is just vital for dancers. Being able to concentrate brings out the fullest ability into you as a dancer. Every dancer must focus in the moment of your dancing and give full value to every movement. 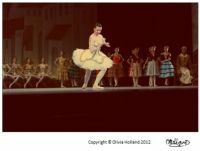 All ballet teachers and choreographers expect dancers to have good concentration. You won’t give yourself the chance to improve if your mind is elsewhere. What makes a great dancer is one who can perform and connect with their audience. 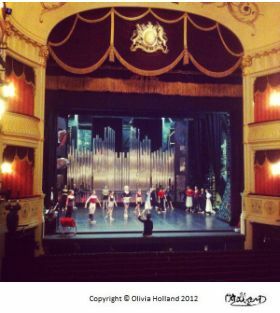 The reason why people go to watch ballets is to get a sense of joy and entertainment, so it’s key to express yourself. You have to let part of your personality shine through so that the audience feel a connection to you. It is a worthy quality to be considerate of the others around you. It will go to your advantage if you are thoughtful towards the other performers. This sense of trust and respect will help you reach further towards your goal. In ballet it's an extremely small world and you must be kind to all, as you never know who you'll meet again in the future. This is a MUST skill to have, especially for when you begin to perform more on stage. Dancers have to be spatially aware especially when dancing together in a corps de ballet. 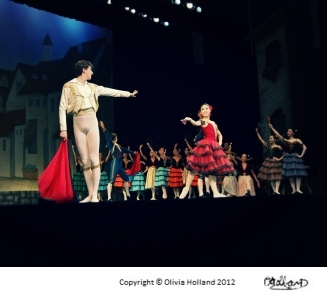 No dancers will want someone who is out of control and gets in the way of all the other performers on stage. Successful dancers have absolute perfect timing. It will help you perform the steps with more precision and master the challenging movements with more ease. In any ballet combination or piece of choreography, you have to have good sense of rhythm.